Another stellar bike from Budnitz Bicycles. Paul shares his thoughts about the No.3, other designers he keeps his eyes on, and why he’s a big proponent of simple, quality living. The last time we spoke, you had just released the No. 1 and No. 2 Titanium. Your Titanium bikes aren’t for everyone’s budget…was price a consideration in choosing to make the No. 3’s from steel? Yes, that was a consideration. I want more people to ride our bicycles, because they’re wonderful and transform your concept or cycling once you’re on one. Releasing our steel and stainless steel bicycles allowed us to charge a bit less. That said, the steel bikes are not a compromise in any way. Steel is just a wonderful material to build a frame out of. As most serious bikers know, it’s hard to beat the compliance of a steel frame. And these bikes come with many of our proprietary titanium parts and top-end components. They’re wonderful bicycles. How different of a ride are the No. 3s from the Titaniums? The ride is different, but it’s hard to quantify because the frame design between No.1, No.2 and No.3 is also different. The new No.3 was built as a really serious city bike. It’s designed around big tires, big wheels, and a compliant, comfortable frame for street riding. Since I don’t have a No.3 in titanium, I can’t make a direct comparison. The wheelbase is longer than the other bikes, and you feel that stability, along with stability of 2-inch wide tires when you hit gravel, potholes, etc. No.1 is our lightest bicycle, all titanium. It handles very fast, and has narrower (but not too narrow) tires — but again, we’re focused on enjoying bicycling so it’s not a racing geometry. No.2 is really just a lot of fun. The giant tires are comfortable and it’s great for bouncing around town. What single design element did you obsess the most about on the No. 3? The top tube arc. We had to get it just right. Actually went through several prototypes before we got the right arc, it kept coming out too straight. We eventually had to make a mold to hold the two top tubes to the right angle for bending. 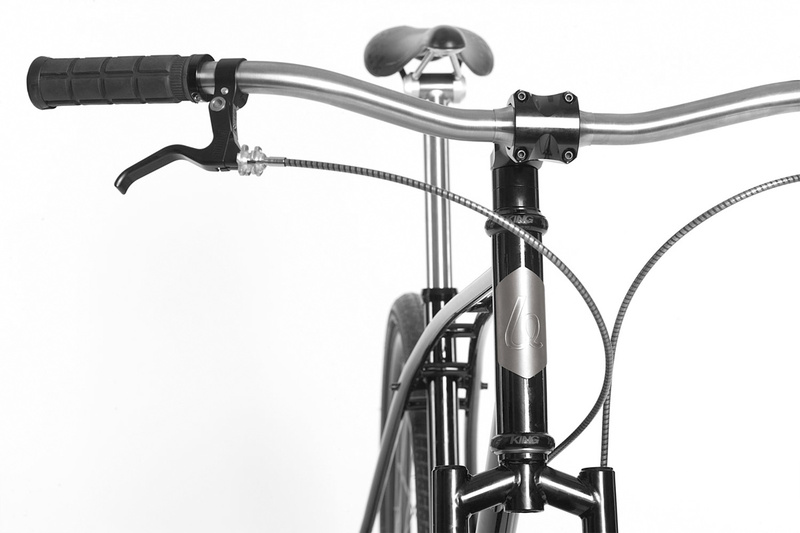 The double-tube Cantilever arc on all our bicycles looks pretty, but it serves an important function, too. Like a bridge truss, it flexes when it encounters road shock. You really feel the difference if the bend isn’t just right. We use our half-crown design on the forks because unicrown forks (those U-shaped forks you see everywhere) are just too flexible for disk brakes. The crown is a good way to stiffen the fork by shortening and straightening the tube. And again, it’s an aesthetic thing with us. They just look awesome! “Paul dislikes getting his pants dirty.” Classic line from your FAQs. How does the bike prevent getting your pants all dirty and uglied-up. 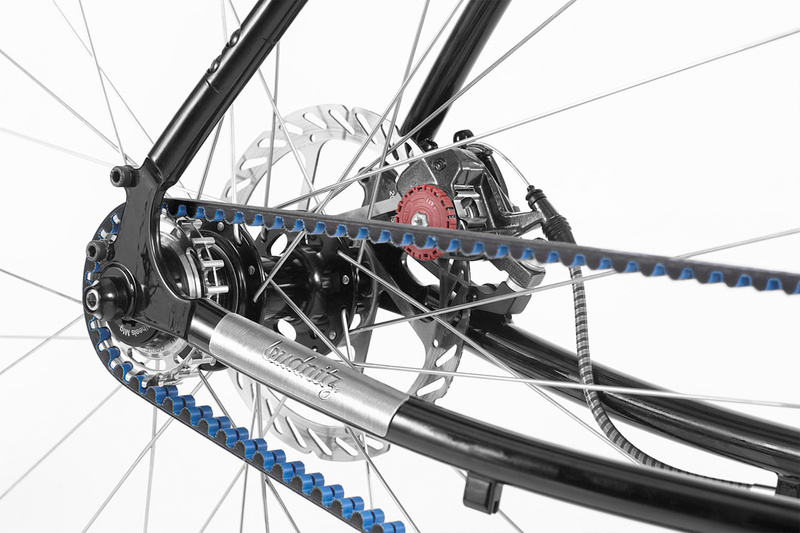 The belt-drive doesn’t require grease or lubrication, so it’s clean and near-silent. So unlike a normal chain-driven bicycle, you don’t get a black mark on your leg if you lean against the chain. You can also just hose our bicycles off. 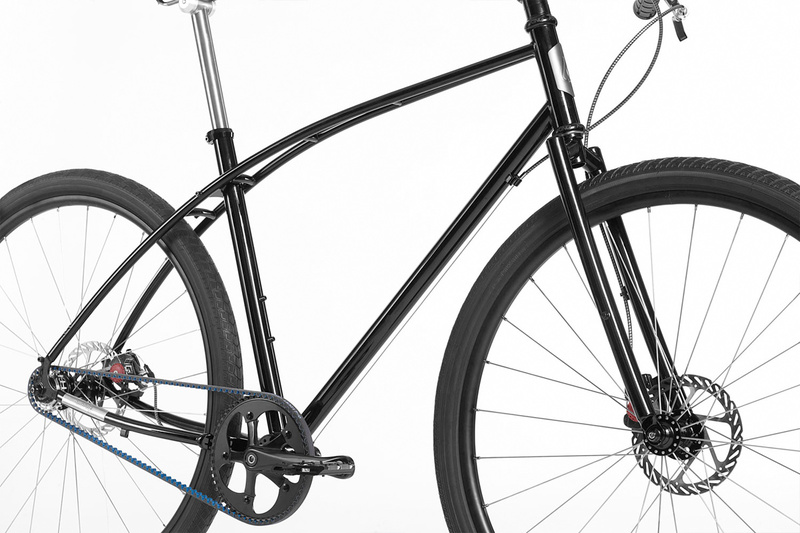 The titanium and stainless steel versions are literally rust-proof, as is the belt drive. You can wash it every so often like you wash a car. Clean and new. Schwalbe makes the best tires in the world. People don’t realize how important tires are. They’re about 50% of the ride! I’m guessing no current plan to sell your bikes via brick and mortar retailers? If so, why? No plans, basically because I’d have to raise my prices. Selling direct people get a bicycle that’s twice as good for the money because we don’t have to provide a markup to the bike store. If you look at our components and compare them to bicycles in a top-end bicycle shop, they’re comparable to $10,000+ race bikes. Are you planning to introduce some more models in the future? No.4 is coming shortly, but won’t talk much about it yet. What’s been the word so far from people who have bought the Titaniums? We’ve had nothing but rave reviews. On your site you say, “Paul is a proponent of simple, quality living. Owning few things that are built to last and that make us happy is a big step towards environmental and social sustainability.” Can you elaborate on this and how you try to incorporate simple living in your own life? I focus on owning very few things that are top quality. I discovered a while back that it actually cost me less to invest in quality products that last a very long time, and I get to enjoy more because they function well or are beautiful. And having less clutter around just feels good. For example, I’d rather save up for a handmade oak dining room table by a local designer than go buy something cheap at Ikea. The Ikea table has a 2 year lifespan and then it starts to look awful, gets creaky, falls apart. My oak table will outlive me, and if I ever decide to change it out for a new one I can sell it and get most of my money back. Some people whine that they can’t afford to live like this, but this has a been a central part of my lifestyle since I was out of college, when I had nothing but debt for many years. If you’re careful, and don’t waste your money on lots of junk, you can afford to live well. Our bicycles fall into the category. What other brands and designers do you keep your eye on? I love IsaOra, the NYC activewear brand. Also Stone Island Shadow and Oliver Spencer. All clothing companies that make quality stuff. The Denver bag company Topo Designs is doing nice stuff too. Double Butter (also in Denver) makes wonderful furniture. What other projects are you working on nowadays? Children’s apps for Callaway Digital Arts. More bicycles. Writing a book. I really like my new titanium wrench/bottle opener. We’ll start selling them on our web site in a month or so. A better suburb. And more bike lanes! 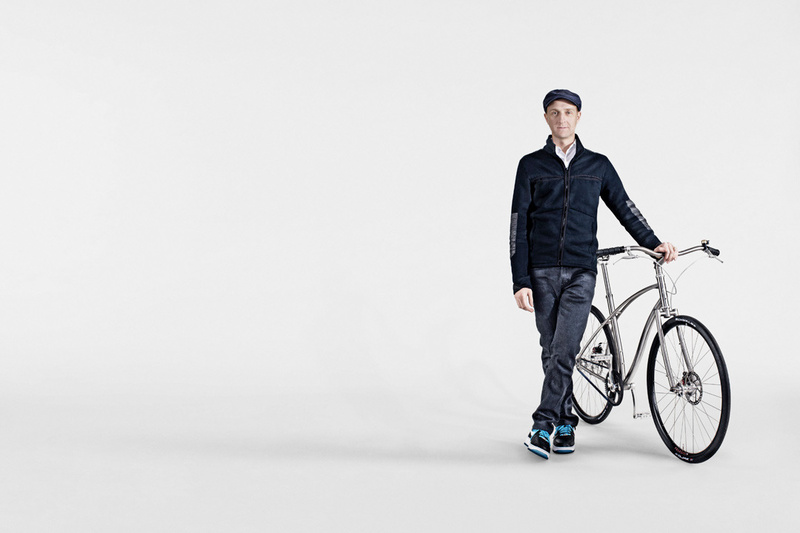 Model No.3 is the ultimate city bicycle, both lightening-fast and comfortable on city streets. Our glossy jet black, curved cro-moly steel No.3 Budnitz Cantilever™ frame is handmade, beautiful, and engineered to absorb road shock. So are the big 29-inch tires, which move quickly and handle magnificently. 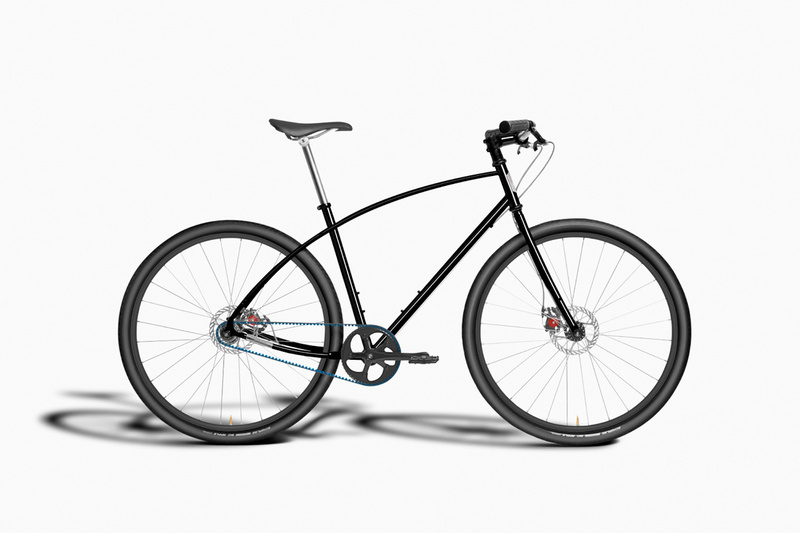 This bicycle also incorporates our (super-lightweight) titanium handlebars & seat post. Titanium Budnitz badges. 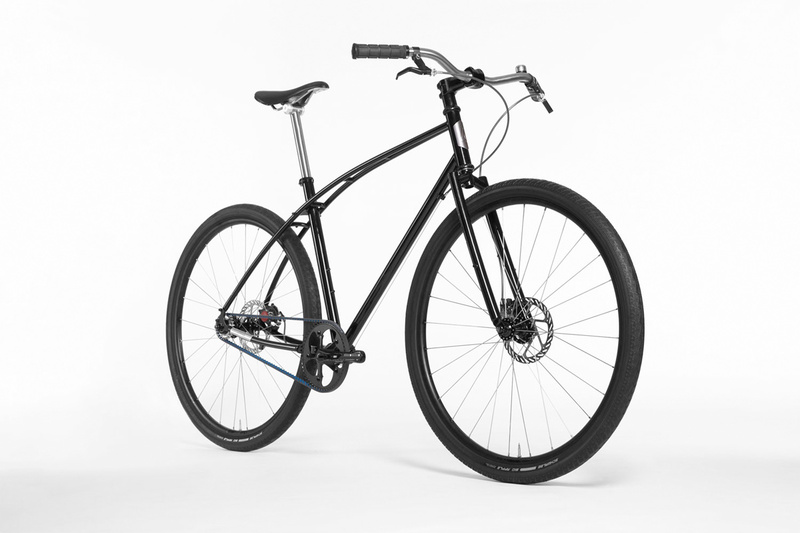 Available as a belt-drive single speed or with an 11-speed internal transmission. Rack and two water bottle mounts. Created by hand in limited quantities, featuring some of the best components in the world, this bicycle is built to last a lifetime.